Altitude Above Sea Level(Min./Max. 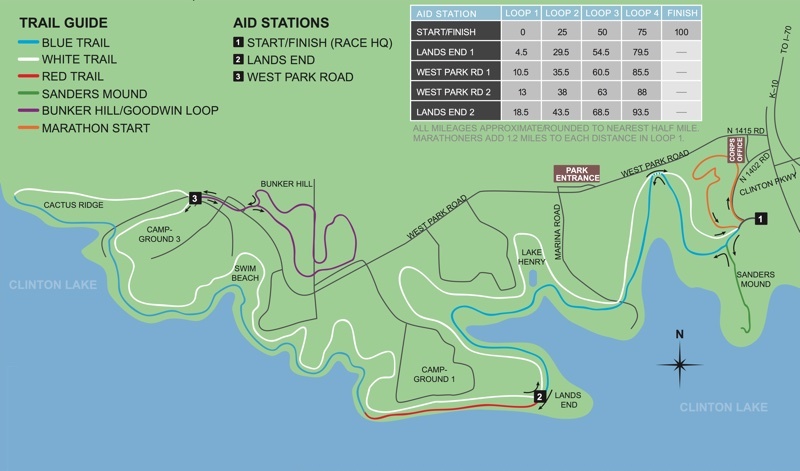 ): 850 ft. / 1,060 ft.
Other Race Distances: 26.2 mi./ 50 mi. Fun Fact: Not only known for its recreational uses, Clinton Lake is the most relied upon water source in Kansas.